Welcome to a piece of my life! What is you weight-loss secret? How do you always manage to sound so positive? What is star anise and cardamom? I receive daily e-mails, sms messages, Tweets and Facebook posts about everything from weight-loss to how I should deal with my child coming out of the closet. The need for support and encouragement during difficult times are also issues that weigh heavily in this correspondence. You would think that 3 hours on-air every day would provide enough opportunity to discuss these types of issues and advice, but the need for a blog has been longstanding and it’s time to nurture that seedling. Every experience in my life is like a calling. Sometimes it feels like lightning a week or even a day before a speech. The topic appears out of the blue like an open road, already determined. The simplest interaction with a family member, friend or listener plants a seed about how the experience can be used to help people navigate their lives. 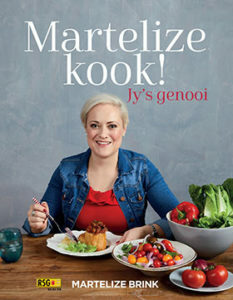 The page is available in English and Afrikaans. Twitter and Facebook posts can also be viewed here. My love of food, music and photography will also receive loving attention! Hopefully it also offers access to socio-political topics of discussion in my speeches to those who are unable to attend these events. It is not a one-way street. Your opinion, questions and added advice are welcome. Ek het vandag tyd gemaak om jou blog te lees. Baie dankie dat jy ons as bewonderaars op die manier op jou lewe laat inkyk. Ek sal definitief gereeld hier inloer. Jy’t my in trane omdat jy heel regs ook na my verwys. Ek wens jou net mooi dinge toe.